A lot has changed in the life of humans in the last decade. 10-15 years back, we used to communicate with our dear ones through hand written letters. Then anyhow landlines phones entered our lives. Then came the age of mobile revolution in the world! Now, there seems no end to the continuous innovation and enhancement in the designs, makes and technical specifications of it. When we got bored with basic phones, then the manufacturers came out with something like smart phones! It is truly like a lollypop which attracts people towards it. Mere a mention of its name is sufficient enough to bring a spark of happiness in the eyes of the younger generation of today! This is the age of Android and Windows mobiles. Before you ask me what Android is, I will like to make the things easy for you to understand. Android is the name of an operating system meant for mobiles developed by The Technology Giant- Google. It comes with many smart phones and tablets. The advantage of Android phones is that they are highly customizable. It automatically creates a backup of your contacts. So, no worries of losing your important contact details in case you lose your phone. The contact details of your android phone are linked with your Google Account. Here are the names of some websites from where you can buy any Android Phones of your choice. Please write down their names. On the first place, I will like to put the name of Ebay due to n number of reasons. Firstly it has a huge number of Android mobiles for its customers that will make them feel wowed and amazed. Secondly on some Android mobiles, there are some hot deals going on there. So don’t give it a miss. If you are looking for any mobile phones, then you simply can’t afford to ignore the name of flipkart. It’s the most loved place for online shopping by Indians. For buying mobiles phones, this is the ultimate place! If you are a little bit skeptical about online buying, then try to place an order for a small thing and experience the magic of its services! Then go for bigger things. Snapdeal is also a safer place for buying Android Mobiles. So you can keep its name in your favorite lists comfortably. You can choose any brand what you may like from the given list. But don’t forget to give a glance on the reviews present over there. It will help you a lot in taking your decision. I don’t think there is any need for further options; still if you are looking for some more options, then I will like to take the name of Amazon. It is a brilliant place for buying anything online in India. It’s a name on which you can rely. Lastly I will like to conclude with the name of Infibeam. Personally, I have found this place to be very interesting and amazing. It offers things on excellent prices. This is the main reason why like this website. It offers Android phones from all leading brands - Sony, Micromax, Lava, Samsung, and Intex. You can decide for anyone which suits your taste. 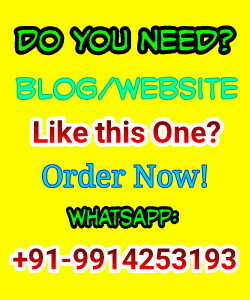 Message: I hope that you have enjoyed '5 Top Websites to buy Android Mobiles Online in India' article. However, if you want me to deliver more articles then please share my post. You can use Social Sharing Widget provided at the end of every post. After all, Sharing is Caring!. Hello Everyone.. Before a while i purchased Sony DVD and i used the coupon Paytm Coupon codes and got flat discount of RS. 400.